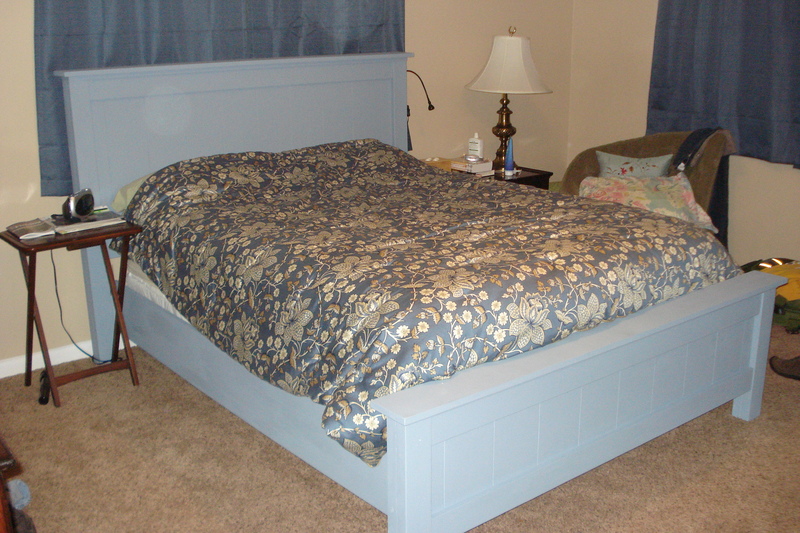 This project describes the fabrication of a bed frame for a queen sized bed. The plans were based on the famous Anna White farmhouse bed (plans), which were in turn a knock off of the Create and Barrel farmhouse bed. Retail from Crate and Barrel this bed might cost around $1500. All said I spent probably $250 on the lumber, hardware and paint. 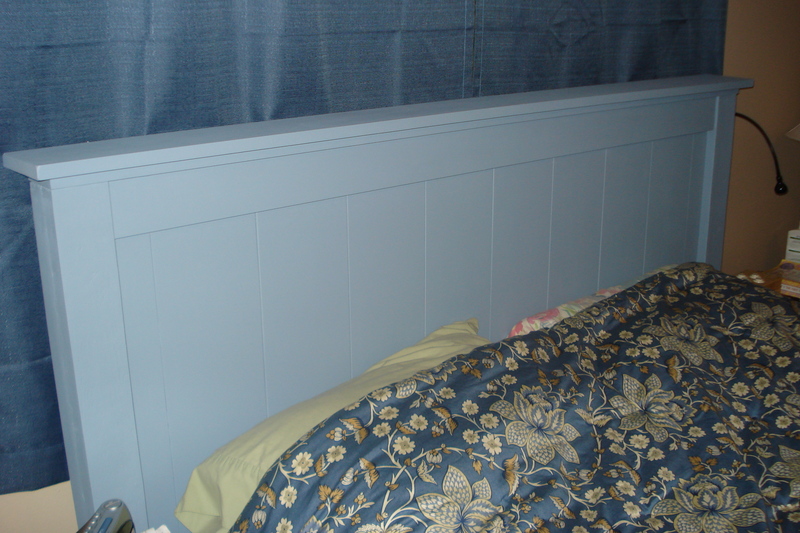 To make assembling and disassembling the bed easier I used Rockler’s surface mounted keyhole bed rail brackets (item number: 32077). They work well and make the bed easy to setup and break down. Head board detail. The entire bed is made from solid wood and the head board is actually very heavy. 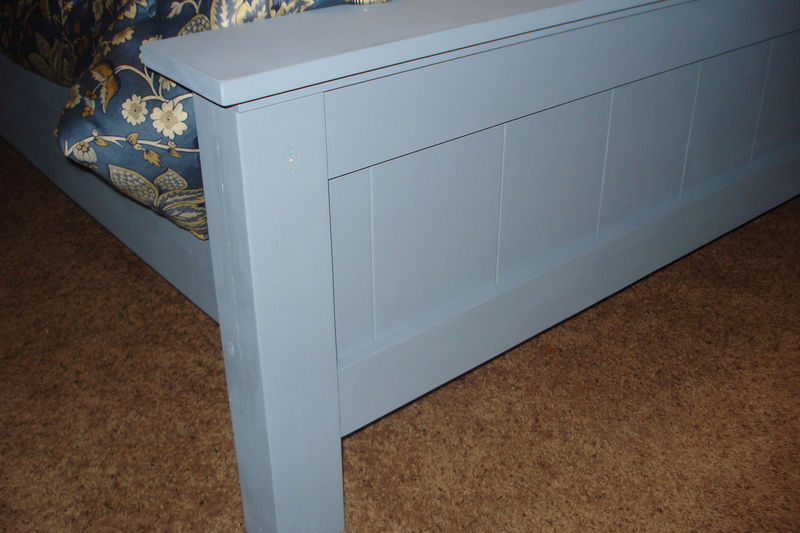 This entry was posted in Project and tagged furniture, wood, wood working. Bookmark the permalink.